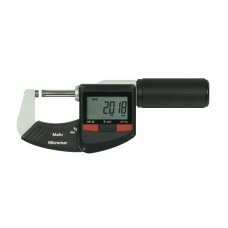 A Mahr Digital micrometer is a high quality gage with an excellent value. 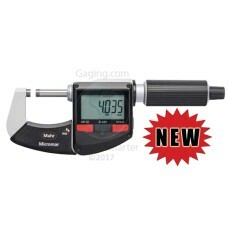 Mahr Electronic Micrometers are on sale at Gaging.com! We have all Mahr Federal products available. 4157000 Micromar 40 EWR Mahr Digital Micrometer with Reference System 0-25mm/0-1"
*product shown may differ The 4157000 Micromar 40 EWR Mahr Digital Micrometer with Reference Syst..
4157001 Micromar 40 EWR Mahr Digital Micrometer with Reference System 25-50mm/1-2"
*product shown may differ The 4157001 Micromar 40 EWR Mahr Digital Micrometer with Reference Syst..
4157002 Micromar 40 EWR Mahr Digital Micrometer with Reference System 50-75mm/2-3"
*product shown may differ The 4157002 Micromar 40 EWR Mahr Digital Micrometer with Reference Syst..
4157003 Micromar 40 EWR Mahr Digital Micrometer with Reference System 75-100mm/3-4"
*product shown may differ The 4157003 Micromar 40 EWR Mahr Digital Micrometer with Reference Syst..
4157004 Micromar 40 EWR Mahr Digital Micrometer with Reference System 100-125mm/4-5"
*product shown may differ The 4157004 Micromar 40 EWR Mahr Digital Micrometer with Reference Syst..
4157005 Micromar 40 EWR Mahr Digital Micrometer with Reference System 125-150mm/5-6"
*product shown may differ The 4157005 Micromar 40 EWR Mahr Digital Micrometer with Reference Syst..
4157006 Micromar 40 EWR Mahr Digital Micrometer with Reference System 150-175mm/6-7"
*product shown may differ The 4157006 Micromar 40 EWR Mahr Digital Micrometer with Reference Syst..
4157007 Micromar 40 EWR Mahr Digital Micrometer with Reference System 175-200mm/7-8"
*product shown may differ The 4157007 Micromar 40 EWR Mahr Digital Micrometer with Reference Syst..
4157010 Micromar 40 ER Mahr Digital Micrometer with Reference System 0-25mm/0-1"
The Micromar 40 ER 4157010 Mahr Digital Micrometer is on sale at Gaging.com! 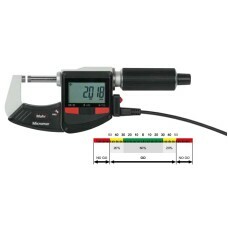 Functions: RES..
4157011 Micromar 40 EWR Mahr Digital Micrometer with Reference System 0-25mm/0-1"
The Micromar 40 EWR 4157011 Mahr Digital Micrometer is on sale at Gaging.com! 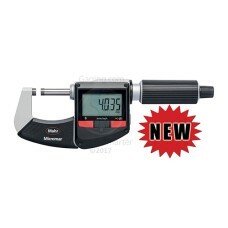 Functions: RE..
4157012 Micromar 40 EWR Mahr Digital Micrometer with Reference System 25-50mm/1-2"
*actual product shown may differ The Micromar 40 EWR 4157012 Mahr Digital Micrometer is on sale a..
4157013 Micromar 40 EWR Mahr Digital Micrometer with Reference System 50-75mm/2-3"
*actual product shown may differ The Micromar 40 EWR 4157013 Mahr Digital Micrometer is on sale a..
4157014 Micromar 40 EWR Mahr Digital Micrometer with Reference System 75-100mm/3-4"
*actual product shown may differ The Micromar 40 EWR 4157014 Mahr Digital Micrometer is on sale a..